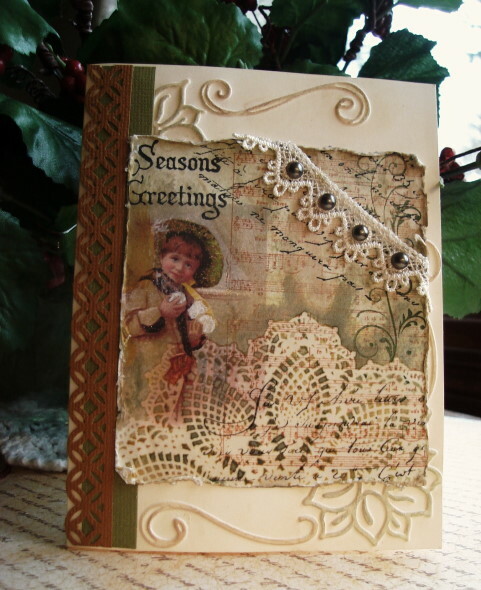 Continuing some Embossed Christmas cards, with vintage looking graphic’s. My graphic’s are from Magic Moonlight, stamps are a mixed bag, from Hero Arts, Stampin’ Up, Crafty Secrets and Impressions Obsessions. Love the vintage feel, these are amazing. These are so lovely, and I've enjoyed catching up on your other posts as well. I love the way yours cards feel connected yet each is so unique. That lacy bit above with the brads is a fantastic touch. Love your style! 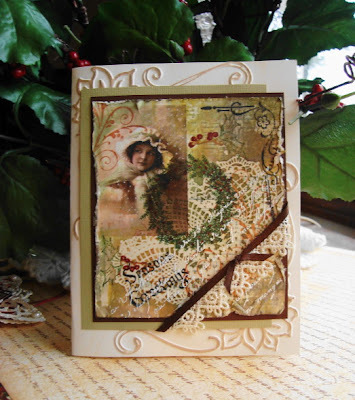 Beautiful collage cards! I just might have to get that SU! doily! Oh Vada, these are just beautiful! !